Dustin began his career in comics as an intern at WildStorm Studios in 2003, where he was held to an unreasonable standard by his idol. Since then, he's illustrated the NY Times bestselling novel The Tenth Circle, had a fruitful relationship with Dark Horse Comics where he made significant contributions to the Star Wars: Knights of the Old Republic series, and worked for several years exclusively at Marvel where, most notably, he co-created the acclaimed series S.H.I.E.L.D: Architects of Forever with writer Jonathan Hickman. In recent years, Dustin has moved into the writing side of comics. 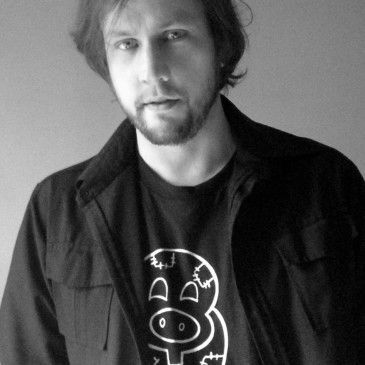 He helped define IDW's approach to Rocksteady and Bebop in their Ninja Turtles comics by co-writing the duo's introductory issue and the mini-series Bebop and Rocksteady Destroy Everything! For Marvel he has performed as writer and artist for Edge of Spider-Verse and the 5-issue series Infinity Gauntlet: Warzones. Dustin now dedicates himself to his own Image series, PAKLIS.